Collect data, find correlations, create future scenarios, select the best strategic development option and implement your strategy in all business segments. 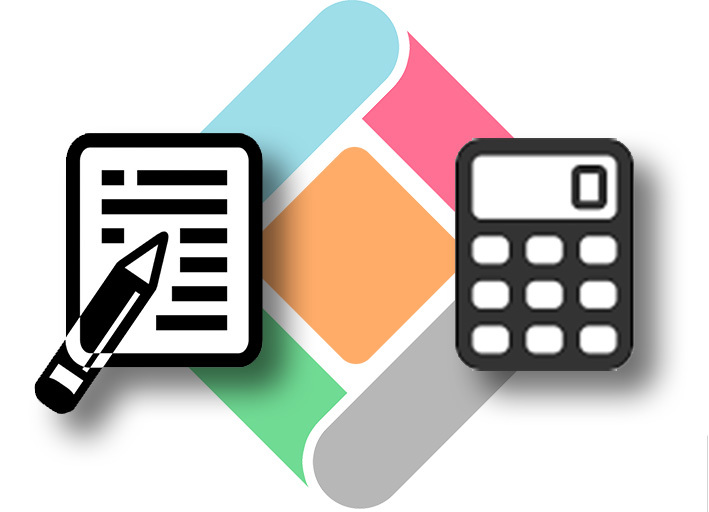 Integration of concepts and calculation models. Our solution shows the interrelations between traffic growth and capacity requirements, between expansion projects and capital expenditure, between investments and follow-up costs, between traffic volumes and financial results, and external effects of all these developments in the region. Our traffic forecast tools enable to create passenger and air cargo / air mail market segments individually to suit your specific traffic structure at your airport and to select the most important growth factors to forecast properly. 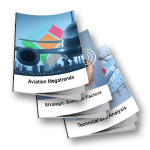 Based on that our tools integrate both, air traffic and ground traffic forecasts as well as annual and peak forecasts for short-, medium- and long-term planning horizons. In doing so, all forecast parameters automatically react on strategically relevant capacity bottlenecks and show their consequences. 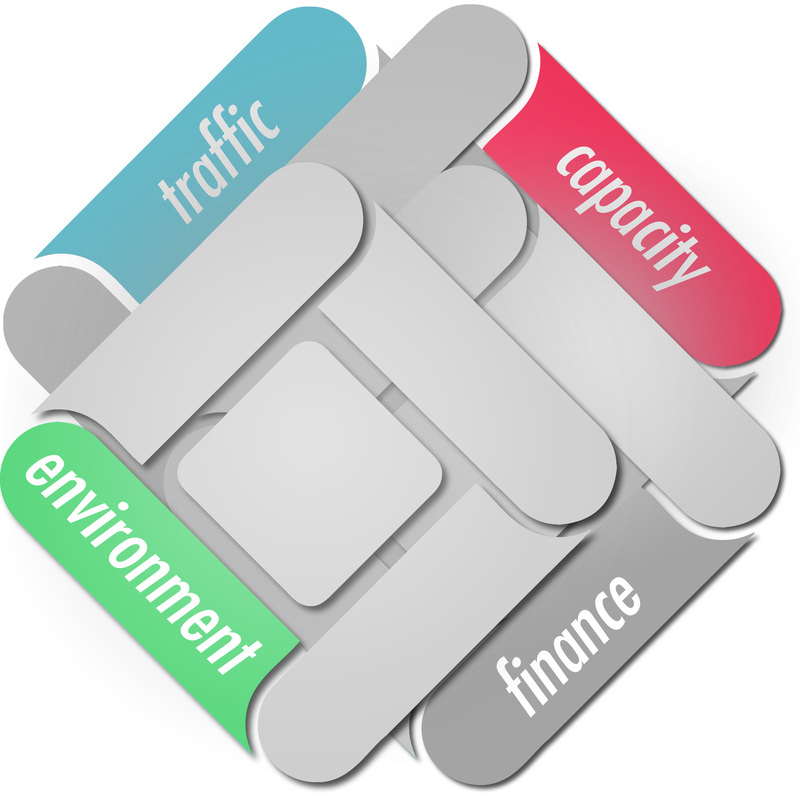 Our capacity forecasts are based on both, annual and peak traffic forecasts on the one hand and quality standards to be selected on the other hand. Various technical functions and / or operational units can be planned in detail and integrated into a long-term, phased airport development program. Over and above the direct and indirect financial consequences of capacity improvements in terms of investments or ongoing asset-related operating costs are shown in parallel. Likewise, the required personnel capacities and their operating costs are planned for short, medium and long-term periods. Our financial forecasts are directly connected to traffic forecasts and to capacity forecasts, showing all important financial performance indicators such as revenues and costs, assets, equity and liabilities as well as cashflows in an integrated financial forecast model. Based on the forecast free operating cashflows out of the operating business and capital expenditure programs alternative financing strategies can be tested as need. 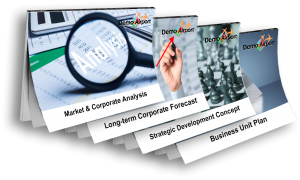 All of that forecasts can be elaborated at the corporate group level or on several business segment levels. Our environmental forecasts are directly connected to traffic and capacity forecasts as well as to financial forecasts, showing a range of macro-economic effects of air traffic at the airport location and in a wider region as well as environmental effects regarding persons and properties. Our solution provides adequate tools for all planning steps – to analyse big data, to elaborate alternative scenario forecasts and strategic options, to develop and value strategic concepts and to transfer such corporate strategies and business segment strategies to operational business plans. 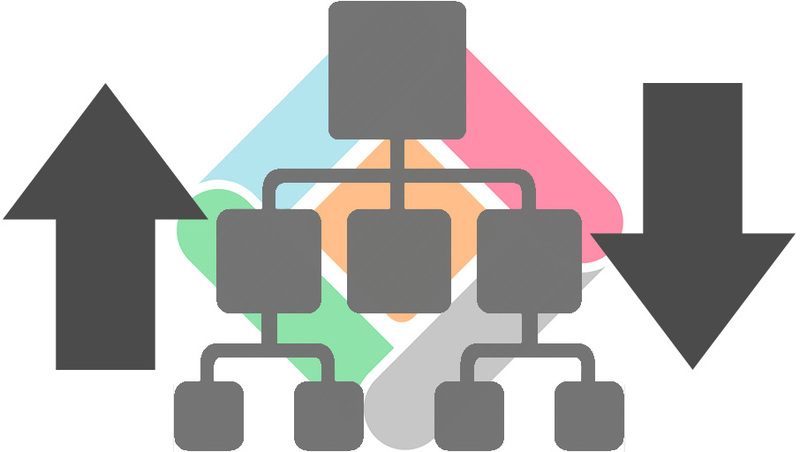 All processes are interconnected and can be traced from A to Z. Based on the results of the analysis our module “Corporate Forecast” provides easy-to-use forecasting tools, which enable multi-dimensional thinking and the provision of alternative long-term forecast scenarios in all elementary planning fields (traffic – capacity – finance – external effects) using a variety of modified forecast assumptions. 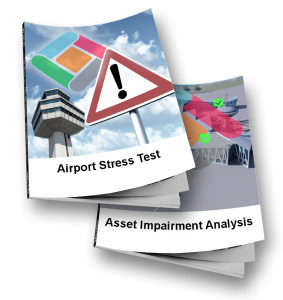 By interpreting and discussing the results of the analysis and some scenario forecasts and the combination of such information with some special risk assessments our module “Corporate Strategy” helps to identify the airport operator’s current strategic position, with all its strengths and opportunities, but also its weaknesses and risks. Based on such a diagnosis, strategic goals can be set and the best future development option might be selected. 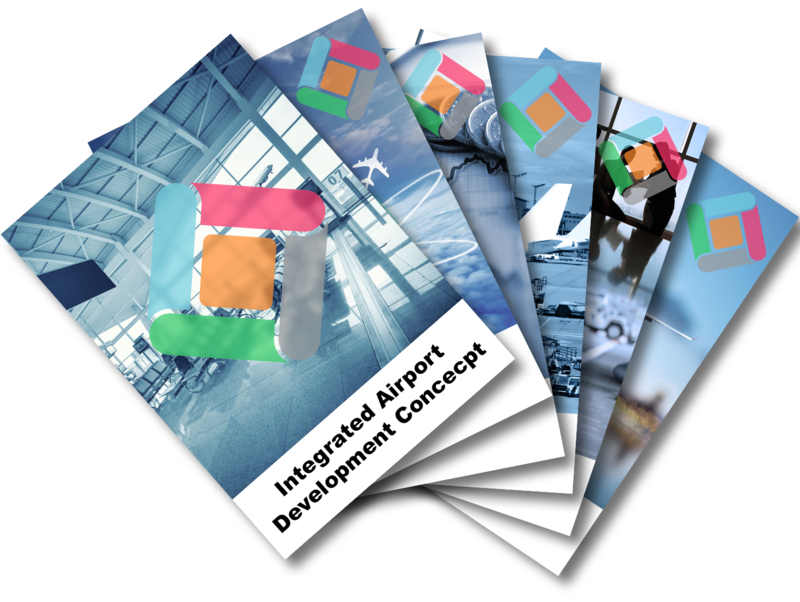 Once the best development option was selected, the strategic airport development concept can be described by using our special conceptual tools. Our solution uses all information sources to upgrade the quality of the development concepts and integrates all planning levels to ensure the consistency of the overall business plan in form and content. Above all, integration of planning levels means to combine overall corporate policies and goals with the individual business segment plans. To achieve this, an “Airport Balanced Score Card” will be provided to roll out the overall business strategy to individual business units and transform it into business segment business plans. The individual results of all business units are then consolidated into business segments, which in turn are consolidated into a corporate result at group level. It also includes all internal business relationships between the independent business units. Depending on their size and organization, you can choose between a “top-down” approach and a “bottom-up” approach which can either be carried out by a centrally organized planning department or in decentralized organisation. Besides corporate and business segment planning our solution can also be used to design and plan key construction projects and/or strategic initiatives (organisational projects) as well as to integrate such project-related plans into the overall planning. In doing so, project-specific information is embedded in corporate plans to ensure consistency. The applications combine all types of information documents, special evaluations and assessments, conceptual proposals and report templates with computer-aided calculation models to easily and efficiently create complete and comprehensive planning documents. As part of our comprehensive support services, we provide specific risk assessments to be considered additionally in determining the company’s strategic direction or in decision-making on large-scale projects. We offer highly specialised, “Linked Consulting Services” to commonly develop draft strategy concepts in combined teams composed of experts of the airport operator and our planning experts. Based on the results of detailed data analysis and scenario forecasts, draft concepts can be elaborated, tested and integrated into the overall business plans. For all modules we provide individually designed report templates, which can be fed with data by the calculation models automatically. All documents can be designed as a written text description or as an animated presentation document to be used in internal or external presentations. 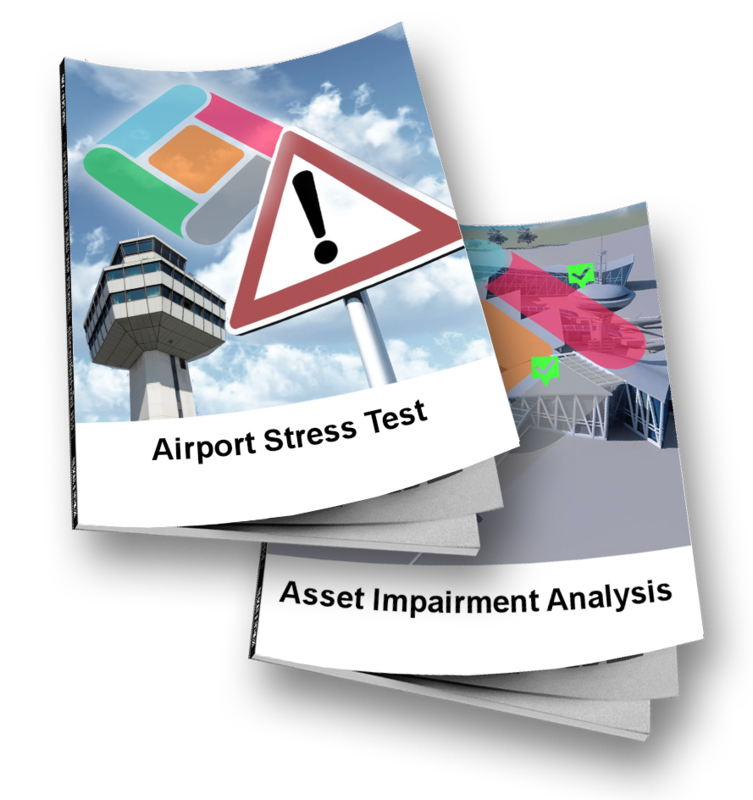 Of course, the content requirements of the Client are taken into account and the individual presentation layout of the airport is used. In doing so, we are able to reduce time and costs needed to prepare various reports significantly.